2015 FORD F-150 SUPER CREW KING RANCH 4X4 !!! HERE IS A CLEAN CAR HISTORY 1-OWNER LOCAL TRADE IN PRISTINE SHAPE LOADED UP WITH EVERY OPTION !! 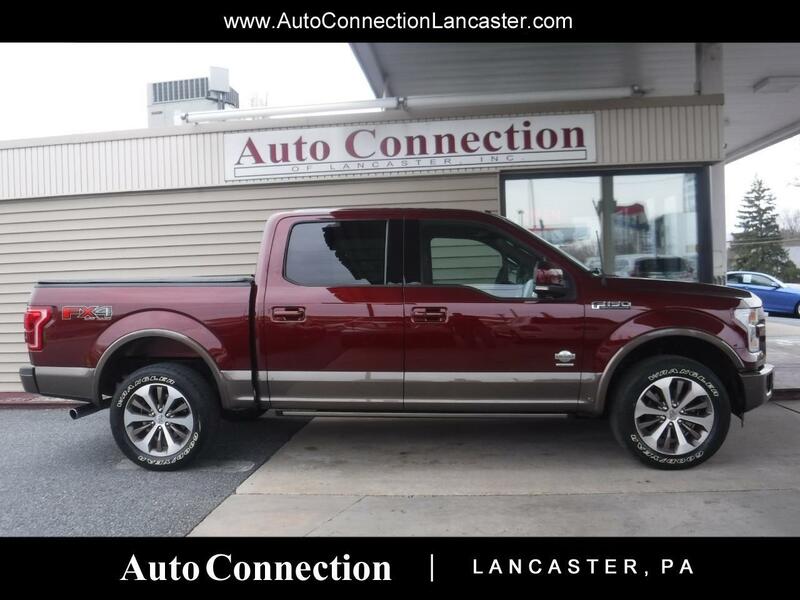 PWR RUNNING BOARDS,PANORAMIC SUNROOF.FORD TOUGH SPRAY IN BED LINER WITH TAILGATE EASY UP STEP,360% CAMERA VIEW,BACK UP CAMERA,NAVIGATION,PREMIUM SOUND SYSTEM, HEATED FRONT AND REAR SEATS,AIR CONDITIONED FRONT SEATS,LED HEAD LIGHTS,FOG LIGHT,AUTO START, 3.5L ECO BOOST MOTOR !! !